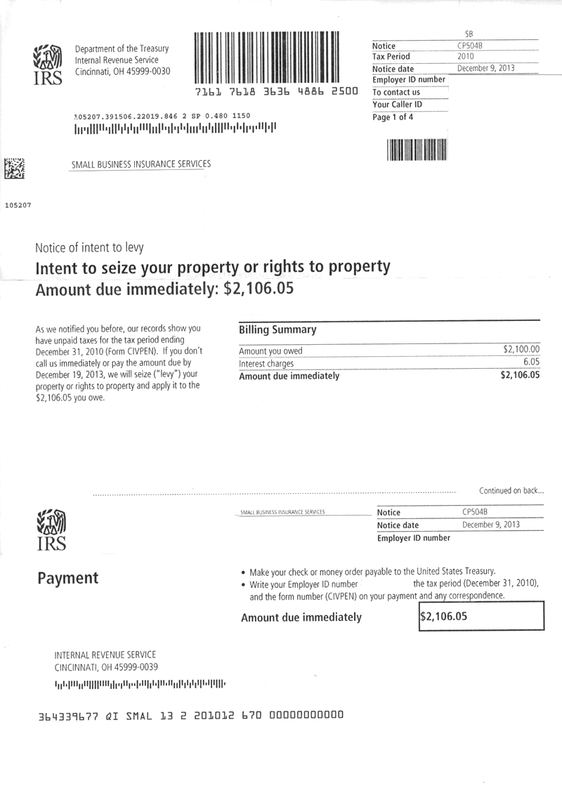 By now, the news has spread online, of the IRS notices received on the same November 25th date, by whistleblowers Bill Elliott and by C. Steven Tucker. Elliott has been waging a pitched battle with cancer. Tucker is the insurance agent and healthcare freedom activist who informed him that the canceling of his insurance, wrought by the Obama administration for the sake of pushing citizens into Obamacare, was illegal. Tucker reached out immediately after Elliott appeared on Fox News’ The Kelly File, Nov. 7th and Elliott’s insurance was hastily reinstated. What subsequently transpired for Tucker has raised even further to him the impression of that IRS coincidence not being mere happenstance, but an attack by our federal government, of orchestrated intimidation upon them both. Last Friday, December 7th, he was visited in his home by an IRS official and received yet another threatening notice by mail. All that follows is an interview Mr. Tucker has just granted via email, after our initial correspondence of that kind. He will explain his concern after our first question and answer, about news of a yet more urgent nature, which compels him to action. First of all, you not only helped Bill Elliott get reinstated in his health insurance, you are relating to all Americans that, contrary to HHS Secretary Kathleen Sebelius’ dictates, it is against HIPAA law for anyone with a life threatening condition to have his insurance terminated, do I have that correct? Tucker: You do indeed. The health insurers across the nation who are canceling health insurance policies based on a posting in the Federal Register in June of 2010 which redefined the ‘grandfathered clause’ in the original PPACA (Obamacare) legislation are violating federal law. Specifically section 2742 of Public Law 104-191 (HIPAA). It is linked at my blog: TruthAboutPreexistingConditions.com. This is an existing federal law that is still on the books and that is relied upon, expanded upon, and referred to multiple times throughout the 960 pages of the PPACA legislation. This law was codified by congress and signed by President Clinton in 1997. Since that was signed into law it has been and still is illegal for any health insurer to cancel anyone’s coverage when they are sick. Regardless of what Barack Obama or anyone else says. It has been and still is illegal for any health insurance anywhere in the nation to ‘drop your coverage’ when you get sick. Period. And, when I say period I mean it, unlike Barack Obama. This is the law that I used to help Bill Elliott (the man with cancer who appeared on Megyn Kelly’s show who had his health insurance canceled during cancer treatment) get his health insurance policy restored with no deductible or premium increase. Bill was even assured by his insurer that he will be able to keep his policy going forward permanently. HHS is violating this existing federal law by requiring health insurers to cancel these existing policies based on a random posting by HHS in the Federal Register in June of 2010. A posting in the Federal Register does not trump existing federal law, most especially HIPAA, that is relied upon, expanded upon, and referred to in the PPACA. By faxing section 2742 of public law 104-191 over to his insurer (with the help of South Carolina governor Nikki Haley) Bill was able to retain his policy even after it was illegally canceled by his insurer. My goal is to inform every American who has had their policy canceled about this law and instruct them on how to use it to get their policy restored. Since this story broke I have been in contact with the organization representing Whitney Johnson and I have been in direct contact with Eileen and Steve Benthal. Whitney is a 26 year old single mother who has been featured in the news. Whitney has multiple sclerosis and she had her policy illegally canceled as well. Eileen Benthal appeared on the Sean Hannity show on Friday December 6th 2013. Her daughter Johanna was born with congenital malformations in her brain called Multiple Cavernous Angiomas. She has the CCM3 genetic mutation, the most aggressive type of the familial form of this disease. Johanna has over 30 of these vascular malformations in her brain. There is no cure for cavernous malformations except brain surgery to remove the malformations that are causing the most life-threatening and/or debilitating effects. She also developed hydrocephalus, fluid in her brain, requiring the placement of a permanent shunt. Over the past 17 years, Johanna has had over 86 surgeries, most of these in her brain. While cavernous malformations are non-cancerous, they do proliferate and hemorrhage, causing stroke-like symptoms, cognitive and motor delays, and seizures. It is immoral, illegal, and unconscionable that Barack Obama’s administration would instruct her insurer to cancel her health insurance coverage and force her to accept an Obamacare compliant “Medal” plan which will increase her premium by $1,000 a month and remove Johanna’s access to her current hospital and doctor. This, after Barack Obama promised over and over and over again, ‘If you like your plan you can keep your plan and no one will take it away from you, period.’ Barack Obama is a pathological liar and innocent, sick Americans are now suffering because of his lies. When we had some Q and A, a few days ago, you were about to be visited by a representative of the IRS, on Friday, December 6th. Who asked for that meeting? Did the IRS say what they wanted to meet about, before it occurred? When I hung up the phone. I immediately called my attorney. He then connected me on a three way phone call to William J. Sneckenberg, Esq., Senior Litigation Attorney and Appellate Specialist at the Sneckenberg, Thompson, and Brody law firm in Chicago. After hearing the story, Mr. Sneckenberg said it was ‘highly irregular’ for the IRS to be sending a letter of demand for a tax return that was filed more than a decade ago. Normally, the look back period is anywhere from 3 to 5 years. He then said he wanted to be in my home to represent me when Treasury Inspector General Williams arrived. On Friday morning Mr. Sneckenberg arrived and reviewed the letters of demand from the IRS and then contacted his CPA. His CPA also agreed that this is highly irregular. Then Treasury Inspector General Williams arrived with an associate. He showed me his business card and his badge and then sat down to begin his inquisition of sorts during which he and his associate took copious notes. To my surprise his questions were not designed to find out why I was sent the letters of demand but more to find out more about me and even more surprisingly my new friend Bill Elliott. He asked for Bill Elliott’s phone number twice. I did not give him Mr. Elliott’s phone number. He then asked for a timeline of events. He asked ‘How did you first meet Bill? What law did you use to help him get his policy restored? What television program did he appear on?’ etc. He then asked for my full name and my social security number since the IRS letters of demand were sent to my corporation and not to my personal name. And, then at the end of his line of questioning he made sure to tell me that ‘you need to resolve these issues with the IRS, if not, as you may be aware, you may be visited again by other IRS representatives in your home and we do reserve the right to garnish your wages and lien your assets.’ Mr. Sneckenberg and I then wished them a Happy Holiday and showed them both the door. 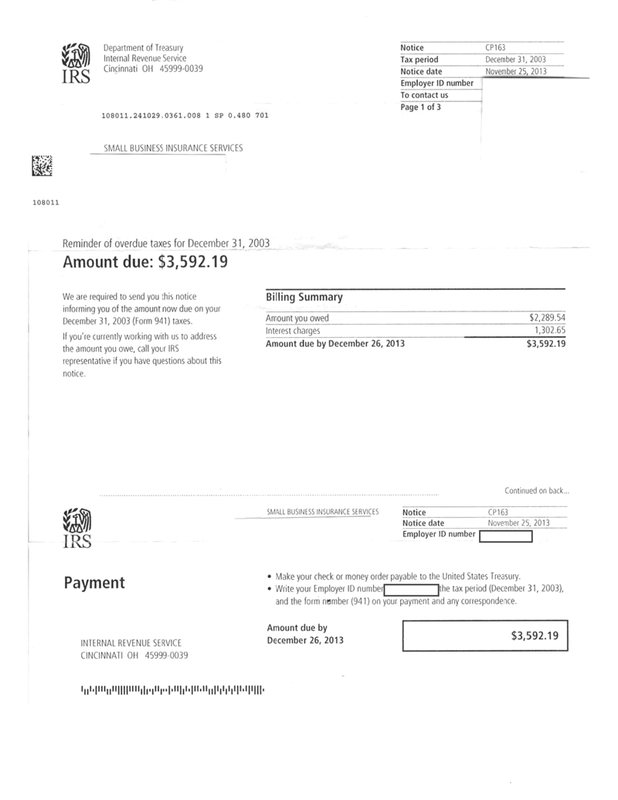 This supposed amount they are demanding payment for is for the year 2010, where they state I did not file my W2s. My tax documents are prepared by a licensed CPA and are done correctly each year. If I had not filed my W2s I would not have been able to complete my 2010 corporate and personal tax returns which are sitting right next to me as I write you these responses. My CPA and my attorney are completely baffled by both the 2010 demand and the 2003 demand for $3,592.19. Did they tell you that you were getting a second notice by them, or was that a surprise? Tucker: They did not tell me I was going to receive a second notice. It was indeed one helluva surprise. 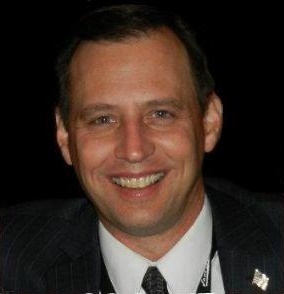 Considering the very real connections with Bill Elliott in this series of events and his audit and its timing and your subsequent series of contacts by the IRS, what do you draw from their behavior toward you each? Tucker: I feel a bit like Catherine Englebrecht right now. Catherine and her husband are Tea Party patriots who were systematically targeted by the IRS, ATF, FBI, and OSHA for a ‘long train of abuses’ over a three year period in what is arguably the most egregious abuse of this administration’s power over law abiding citizens as of yet on record. After listening to Lois Lerner plead the 5th during congressional testimony and then conveniently ‘retiring’ early and then listening to the IRS chief counsel use the term ‘I don’t recall,’ no less than 80 times during congressional testimony, I no longer believe in coincidences. I believe Bill and I are both being targeted for exercising our first amendment rights by accurately criticizing Barack Obama’s disastrous health care law. Doesn’t the Obamacare act include the hiring of many more IRS agents and an expansion of their roles and tasks stemming from its insurance and health care processes? The IRS will also be enforcing the employer ‘Shared Responsibility’ excise tax of $2,000 for every full time employee from the 30th employee on up, for all employers with 50 or more ‘full time equivalents’ who refuse to comply and purchase PPACA approved health insurance beginning in 2015. As a reminder, this onerous excise tax was going to be applied beginning in 2014. That was until Barack Obama illegally, unilaterally and unconstitutionally delayed it until 2015, in order to help his fellow Democrats politically survive the 2014 midterm elections. With all this, coupled with members of the IRS undergoing training in the use of automatic weapons, as witnessed by Rep. Jeff Duncan (R) of South Carolina, also the non-Defense Department purchase of up to a hundred years worth of normal use of ammunition, including hollow-points banned by the Geneva Convention, what do you think about where all this appears to be going? Tucker: We are living under a soft tyranny right now. As The Great One, Mark Levin Esq. so aptly states, ‘We are unmoored from our constitution and we are living in a post constitutional America.’ My constant fear is that one day soon that tyranny will no longer be soft but will develop into a hard tyranny. The evidence you just presented increases my fears. Have you had any conversations with major media, since your notice? Tucker: None of the members of Barack Obama’s praetorian guard media, what I call the ‘old media’ has bothered to contact me, but this story is now a national news story thanks to the real journalists who comprise the new media. That stated, paging Mr. Issa. Mr Darrell Issa, please pick up the Red, White, and Blue Courtesy phone! You too Sean Hannity. Please gentlemen, this information could help millions of Americans. When I say millions, I mean the 5.6 million who have already had their health plan illegally canceled and the millions more who will lose their individual and family plans this year. And, the 50 to 93 million employer sponsored plans that will be terminated next year, thanks in part to another posting in the Federal Register in April of 2010. Do you think it’s odd that Megyn Kelly hasn’t followed up, since her interview of Bill on November 7th? Tucker: I do indeed. 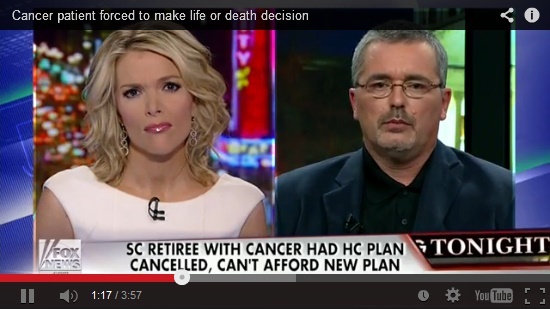 This was Megyn’s story and she even reached out to me on Facebook personally, to thank me for helping Bill. I know she is very busy and she has been sick recently as well, so I still remain hopeful she will reach out to either Bill or myself in the very near future. Have you had any talks with any members of Congress? Tucker: I have not. That said, my representative is Tammy Duckworth. She is lockstep, moving ‘forward’ with Barack Obama so I do not expect any help from her. Tucker: I would be very appreciative if Mr. Sekulow would contact me. One last question for now, something that bothers me. Republicans in the House who have been investigating the IRS focus upon their management staff and question what the White House knew and knows about it. And new media has pointed out that just before the Tea Party harassment began, Colleen Kelley, the president of the IRS’ union visited the White House, apparently for a seminar (why they would need a union considering their pay and benefits, I wouldn’t know). But, the cabinet level supervisor of the Internal Revenue Service is the Secretary of the Treasury. That was Timothy Geithner when all this started. Geithner was the president at the Federal Reserve’s major bank in New York during the mortgage meltdown of 2008. He has found himself in tax payment trouble, not having paid all his taxes. And he is the son of Barack Obama’s deceased mother’s boss at the historically suspect Ford Foundation, which has a history of being simultaneously infested with Marxists and U.S. intelligence operatives. He has been in significant positions with Kissinger Associates, the CFR, the IMF, and in a prior time the Treasury Department. He was in charge of the IRS from the time of Obama’s inauguration, to January, 2013. Why do you suppose no one in Congress or in major media bring up his name, nor those of the subsequent Treasury secretaries? Any ideas? Arlen Williams publishes and edits Gulag Bound and is taking on a new project, the Sovereignty Campaign (SovCam.org) to vet and as objectively as feasible, to score and grade U.S. Senators and senate candidates on their support of America’s core governing principle: truly empowered popular sovereignty under God, with state and national sovereignty to guard it, as expressed in the Declaration of Independence and U.S. Constitution. Twitter: @ArlenWms. Facebook/ArlenWilliams. The reader is permitted to post this article in forums and blogs in its entirety, or to excerpt in ways that present content faithful its original and contextual meaning, linking back to it in Gulag Bound or in American Thinker.